Discussion in 'Portable Headphones, Earphones and In-Ear Monitors' started by mtoc, Apr 6, 2016. 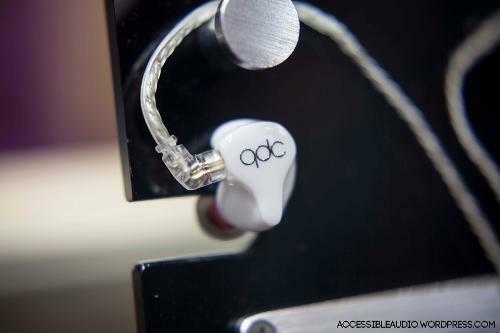 Hi folks, once again there's a Chinese brand strikes, qdc, I believe no headfiers had heard it yet, the flagship is 8-driver-ed (about $1500/pr), actually they are always doing military stuff but suddenly decided to make IEMs (well, the cake's big)... Maybe groundbreaking, I dunno. Tried the 3, 5 & 8 drivers. I had a listen to their lineup (3, 5 and 8 drivers). I went in without any expectations and came away quite impressed. There is almost 0 mention of this brand, so may be I can kick start with my impressions. 3 Drivers: Musical and natural. Sound signature is a bit warmish but overall pretty linear. Good note thickness. Treble is smooth yet sparkly. Bass is boosted above neutral levels but doesn't intrude in the mids. Imaging and soundstage is also pretty good. My takeaway for this model was that it was an impressively natural and musical sounding monitor that I could listen to for hours without fatigue. Usually these kind of signature is prone to coming across as being smoothed over in terms of detail retrieval, but I definitely didn't find this to be the case. Infact it ticked a lot of the right boxes for me in terms what I want from an iem. 5 Drivers: Much warmer compared to the 3 driver model. Bassier as well with much more rumble and punch. Mids are thicker and highs are not as extended. Overall sound is a bit more spacious and layered with better depth but not as natural sounding as its smaller brother (but still quite musical and natural). Fans of warm and thick sound will have a lot to like about this model. It is not the most detailed or resolving but still enjoyable due to its musicality. 8 Drivers: It takes everything that the 3 driver does well and moves it to another level. Signature wise it isn't as warm and thick as the other models. There is a small boost in the upper mids that brings everything forward. Resolution is stellar all across the spectrum with top notch instrument seperation. Treble has good extension and presence and yet super smooth (a common characteristic for all the models). 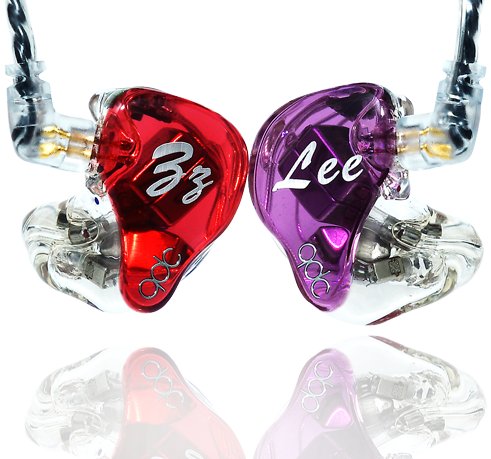 Mids are slighly more forward than neutral, highlighting micro details not resolved by many iems. And lastly, the bass is super extended with the strongest subbass of the bunch. There is a great sense of seperation between the bass lines and everything else. Overll I think this brand is worth your audition time if you can manage to do so. They are very well tuned and fans of a musical and natural sound yet with great resolution will find a lot to like about these monitors. For me the star was the 3 driver model with the 8 driver one being one of the highest performer I have heard in recent times. ranfan, Ver JJ and Bucketron like this. Thanks Omastic for the review. Last week I went to a local audio shop and wanna try out SE846 and Aroma Witch Girl Pro to decide which one to buy. SE846 to me treble is still not that good, vocal and bass is impressive. Sound stage is narrow. Next I tried Aroma Witch Girl Pro, Treble and sound stage are better than SE846, however, vocal is the weakness. So, I tell the salesman about my impression, with similar price level he recommended QDC 5SL, He said if I don't mind China brand, I should try this. When I heard for the first time, I was immediately drugged. It combined all the strength of SE846 and Aroma Witch Girl. I immediately paid without second thought. I can listen to it for hours without fatique. Overall it is a bit warm, maybe not that analytical for some people. But it is really fun to listen to. Highly recommend you guys to try it out. Nowadays seem like the cable 2pin connector was revised to caping type. How does you guys get from after markets cable, ins't available? I too tried the QDC 3SH and this was my impressions too. Slightly V-shaped signature that feels remarkably close to the Harman curve with a tuning that was extremely coherent and very enjoyable to listen. Like you, what popped out to me was out easy it was to listen to; I spent almost two hours at Jaben and didn't even realize it simply because at some point I stopped analysing the sound and just... listened to music. What surprised me was how detailed it was despite the non-fatiguing sound; in my experience the most detailed headphones tend to be very cold and analytical, separating each aspect of the sound to the point where the details within the music were pushed to a much higher priority than deemed natural, and the most "musical" (sometimes associated with the descriptor of "warm", "smooth" etc.) headphones tend to make the microdetails of the sound take a back seat in favour of the main melody and coherence between frequency ranges. What the 3SH did was that it was definitely not the smoothest nor the most detailed IEM I've heard, but striked a balanced between the two that makes it almost impossible to hate and avoided the realm of "veilness" normally associated with an overly smooth sound signatures. Now in case anyone accuses me of bias from buyer's remorse, I (unfortunately) did not get the 3SH in the end due to budget and time constraints and had to settle for a different company. If omastic is right about the 8-driver model though, rest assured that it would definitely be next on my hit-list. Holy crap guys, I was at the HK Audio Visual Expo yesterday and tried most of the qdc lineup. I was blown away by how good they sounded! mostly agree with the impressions above - all of their product offerings have quite a full and warm sound - even the 3 driver one. To offer a clearer comparison, the Westone 4R with 4 drivers sounds much less full and warm than the qdc 3 driver, which has more focus on bass and mids reproduction rather than the 4R's emphasis on clarity in highs and more subtle bass impact. The qdcs come with Live, Studio and "Hifi" variants - Live tended to be more warm and bassy, Studio more neutral, and Hifi sounded like there was more clarity and airiness to the mids and highs. Personally my favourite sound sig is in the Live variants. I'm really tempted to get a pair for myself! Probably the qdc 5 - the 8 had even better detail retrieval but at nearly double the price I'm not sure I can afford it right now. ranfan and tarhana like this. I was guess that behind of QDC should be related to UM or UE company. I agree...in fact I was shocked that for a little more I can get a K10U. Would the lower priced Above mentioned UM have similar characteristic to the SH8? Quite hard to audition China made IEM here. tried the qdc3, qdc5, qdc8, only love the qdc3 and qdc8. qdc5 is too bassy for me. any other type of ciem along the sound of qdc3 and qdc8 to recommend anyone? You can audition them in Music Sanctuary Singapore, I think they're going to have a Black Friday sale (20% off if I'm not mistaken) in conjunction to EE online Black Friday sale in the US. I have not try the QDC3, but I think Athena and Apollo should be quite similar to QDC8. They will be releasing the ADEL series, and if I'm not mistaken MS should be receiving the Zeus ADEL version in a couple of weeks. You and I can both dream, the closest I have seen them discounted is being sold 2nd hand and not sufficient enough to warrant a purchase. Since it's their flagship product, I doubt it will drop in price. Hey guys, I attended a local show over the weekend and they brought in some QDCs to try. I particularly liked the Gemini very much. I shared my impressions of it along with some other TOTL gear here.